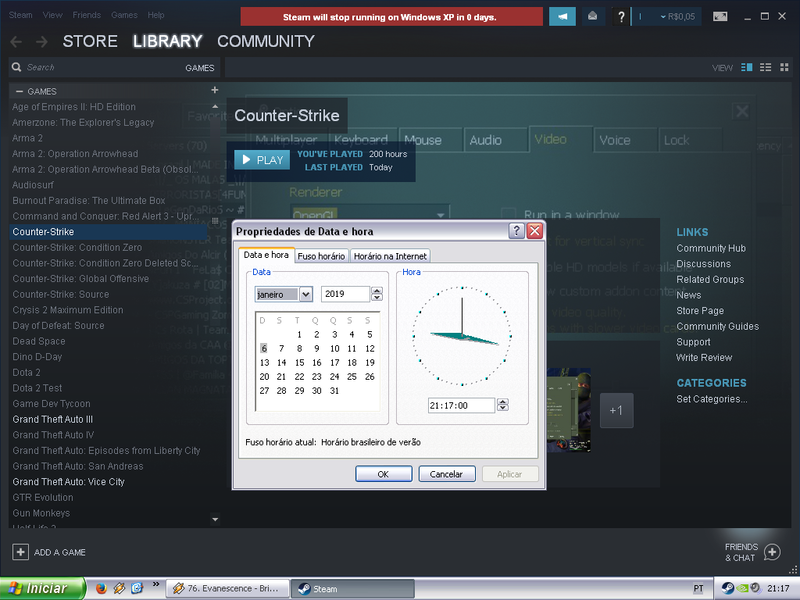 I guess Valve abandoning XP support didn't meant that they were "flipping the switch" for Windows XP machines, i think that just meant that they may update the steam client on the future in a way that might not work on XP. I spy with my eye, winamp. 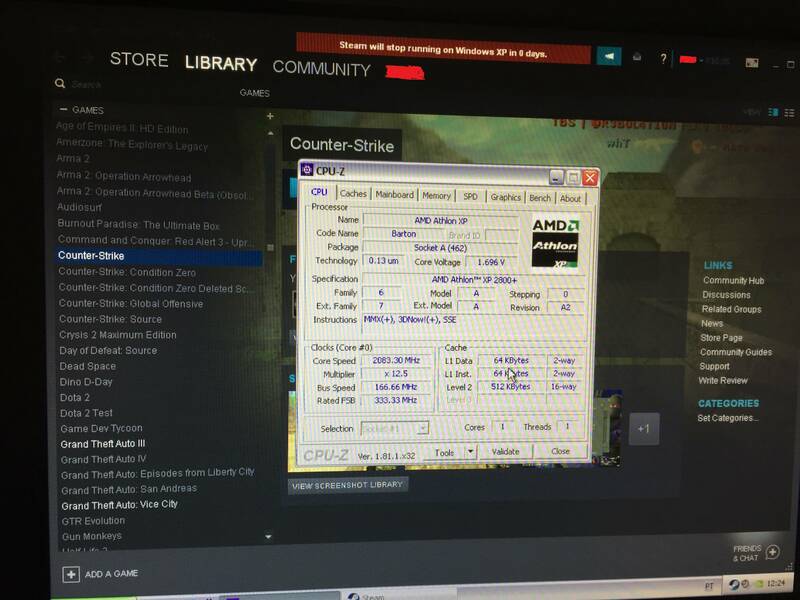 Anyway how did you get steam working on a CPU without sse2? It's likely an Athlon 64. Steam relies on CEF so assuming Valve doesn't compile the next version for Vista+ or add a define to exclude the offending code for XP then that's when you'll have issues if you don't take precautions to prevent the automatic update. If Valve make changes to their servers that prevent old clients from connecting then that could also cause issues. It looks like CEF updated to v51 on 4-28-2016 so assuming Valve using Chrome v49 (Last ver to support XP) unless they made custom changes for XP support. Looking at the latest Steam Client it looks like it uses v68 in Big Picture mode using the web browser but unknown if Big Picture and the regular Steam client use the same CEF ver or not. DosFreak wrote: It's likely an Athlon 64. He said it was a Barton. 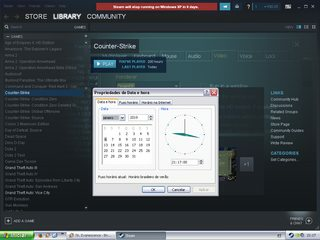 It is an old install(the Steam folder creation date is september 4th of 2017) that just updated over the time without a problem, the game library works, game install and properties work, however the community and chat don't. I remember SSE2 being broken once and then Valve fixing it and then supposedly it got broken again. Haven't really kept track or tested it indepth....and now I don't care since don't need the Steam client.